A US jury has backed claims from a former school groundsman who claimed Roundup weedkiller contributed to his terminal cancer. The maker of Roundup weedkiller has insisted British consumers are safe to use the product after a US jury backed a groundsman’s claim the pesticide contributed to his terminal cancer. Dewayne Johnson was awarded 289 million dollars (£226 million) by a state jury in the US, who found manufacturer Monsanto had failed to adequately warn of the risks of using Roundup, which contains the world’s most widely-used herbicide glyphosate. The groundsman’s lawyers said he was diagnosed with non-Hodgkin’s lymphoma in 2014, having used Roundup and a similar Monsanto product, Ranger Pro, in large quantities while working for a school authority. Labour deputy leader Tom Watson said on Twitter that the verdict has “huge implications for the food chain”. Roundup is one of the country’s most popular weedkiller brands, while glyphosate herbicides are the most widely used herbicide in UK agriculture. Environmentalists say the weedkiller is linked to cancer, although the claim is strongly denied by manufacturers and the EU has approved the chemical for use. In 2016, a joint report by the World Health Organisation (WHO) and the UN said that, while there was “some evidence of a positive association between glyphosate exposure and risk of non-Hodgkin’s lymphoma” in some studies, the only large study of high quality found “no evidence of an association at any exposure level”. It came after the France-based International Agency for Research on Cancer, which is part of the WHO, said in 2015 that glyphosate was a “probable human carcinogen”. In 2017 the European Union extended the licence for use of glyphosate for five years. The court heard Mr Johnson used the weedkiller in large amounts while working in the San Francisco Bay Area school district. 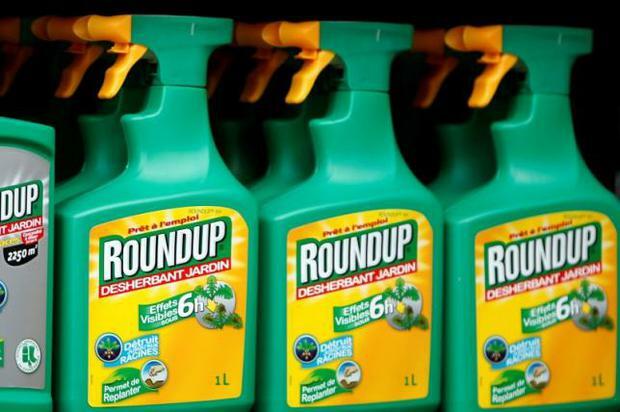 On Friday, the jury in San Francisco found that Roundup was a “substantial factor” in Mr Johnson’s illness and that the company should have provided a label warning of the potential health hazard. Jurors also found that the potential risks of the product were known by the scientific community and Monsanto failed to “adequately warn” of the danger. Furthermore, the jury found Monsanto officials acted with “malice and oppression” in their selling of the product despite its risks being known. Mr Partridge said that more than 800 scientific studies and reviews and conclusions by regulators in the US and around the world “support the fact that glyphosate does not cause cancer”. Mr Partridge said of the verdict: “The jury made a decision, but the decision that a jury or a judge makes has to be based on the weight of the evidence and the overwhelming weight of the evidence that went in the trial was that science demonstrates glyphosate is safe, there’s no credible evidence to the contrary. According to a 2017 study of Government data by Oxford Economics, 5.4 million acres of farmland across Britain are treated with glyphosate annually. The chemical is used to prepare fields for planting and to make harvesting easier. Farmers warn that banning the chemical could cut crop yields by more than 10%, costing the economy hundreds of millions of pounds. A Government spokesperson said: “The Government’s priority is the protection of people and the environment. Decisions on the use of pesticides should be based on a careful scientific assessment of the risks.